States Struggle To Find An Execution Method That Works For a generation, nearly all death penalty states followed the same lethal injection protocol. Now they're forced to improvise — some say experiment — which has led to several botched executions. The gurney in the execution chamber at the Oklahoma State Penitentiary is pictured in McAlester, Okla., in 2008. Legal pressures and concerns from European manufacturers have made traditional execution drugs unavailable to states. "This is a highly problematic method of execution," says Deborah Denno, an expert on lethal injections at Fordham Law School. "It's as problematic as any we've ever had." Legal pressures and concerns from European manufacturers have made traditional execution drugs unavailable to states. That has caused states to scramble — some say experiment — and try out new drug combinations. Death penalty opponents will seize on this latest incident as evidence that states are unable to get the procedure right. But the states that have been most active in holding executions have shown persistence in trying to find a method they can use. "Some of these states are very determined," says John Blume, director of the Cornell University Law School Death Penalty Project. "Are they just going to stop because of this? The answer is probably no. "The question then," Blume continues, "is how much tolerance the federal courts and the Supreme Court are going to have for this experimentation process." For about 30 years, the primary death penalty method used in the United States was a three-drug protocol, consisting of a barbiturate, or anesthetic; a muscle relaxant to create paralysis; and a drug that would stop the heart. The method was created in Oklahoma in 1977 and first used in Texas five years later. Soon, every death penalty state but one had adopted it. But defense attorneys have challenged the method in recent years, leading some states and courts to impose temporary moratoriums on executions. In 2011, the European Union imposed an embargo on exports of drugs used to carry out the death penalty in America, cutting states off from their primary suppliers of sodium thiopental, the anesthetic they had most relied on. Some states consequently have tried out new drugs and dosages in recent months. Some have turned to unregulated compounding pharmacies to make the drugs. "As the states have shifted away from reputable suppliers of drugs, who won't sell to them, the states have gone to more and more questionable sources," says Joseph Luby, an attorney with the Death Penalty Litigation Clinic in Kansas City, Mo. "As that's happened, we've actually seen more botched executions." 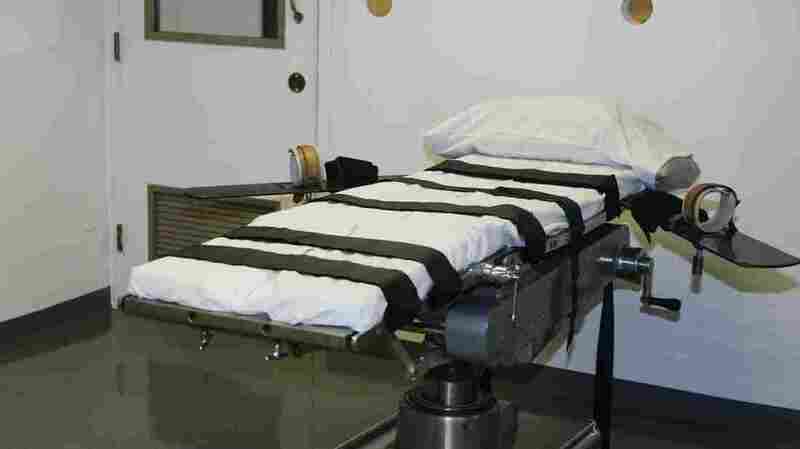 Some states, such as California and Kentucky, require public hearings on execution methods. Most, though, leave the matter up to their departments of corrections. Opponents of the death penalty say that the state departments, which have sometimes been secretive about their drug combinations and sources, can't be trusted to get it right. "We've had several botched executions in 2014," says Denno, the Fordham professor. "We're having more botches than we've had before, with so much experimentation." In January, Oklahoma executed a man named Michael Lee Wilson, who complained before he died, "I can feel my whole body burning." Ohio's correction department announced on Monday that it will increase the amount of drugs given to condemned prisoners. The move followed its own investigation into the January execution of Dennis McGuire, who took 25 minutes to die from a previously untried drug combination, while his fists clenched and his stomach churned visibly. "The department finds no harm in increasing the dosage levels of its drugs," the department announced in a statement. It will increase the dose of midazolam from 10 milligrams to 50 milligrams and up the painkiller hydromorphone from 40 milligrams to 50 milligrams. Tuesday marked the first time Oklahoma tried midazolam as the anesthetic in an execution, giving Lockett 100 milligrams of the drug. Florida, which also uses midazolam, administers 500 milligrams. Oklahoma Gov. Mary Fallin, a Republican, put executions on hold pending the results of a review of the state's procedures. "It would reduce the possibility of something potentially horrific happening again," says Blume, the Cornell law professor. But by consistently challenging execution methods, death penalty opponents have helped bring about the current confused state of affairs, argues Robert Blecker, author of the 2013 book The Death of Punishment. "Abolitionists pressured companies to stop supplying the lethal drugs with a threat of economic boycott," Blecker says. "Ironically, by forcing states into untried chemical combinations, they increase the odds of the very situation they purport to decry." Luby, the Kansas City attorney, says that he hopes courts will grow even more skeptical about the methods states are trying out. "We as a society need to be better than the people we are killing in the name of carrying out and enforcing the law," he says. But Blecker, who teaches at New York Law School, says he isn't moved by complaints that condemned men have suffered at the end. "I do confess I'm not overly troubled that a man who shot a 19-year-old victim and stood by while his cohort buried her alive should himself experience a quick but painful death," he says.